Large breed dogs have special food needs. 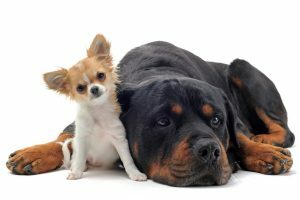 Though they are popular with South African pet owners, few people understand that bigger dogs like Rottweilers, Boerbuls, Pitbulls, Retrievers and Labradors require a diet that is different to the Yorkie or Jack Russell. Years ago, feeding a large breed puppy was easy. Because we had the time, most were fed on a home-cooked diet containing a source of starch such as maize meal and a source of protein like low quality pets’ meat and bones bought from the butcher. But then along came dry puppy foods and pet owners rejoiced. How much easier to pour a handful of pellets into your dog’s bowl than to stand in front of a stove for hours. Unfortunately, these early dry puppy foods were of inferior quality and digestibility and they most certainly did not take into account the unique feeding requirements of especially large breed puppies. Puppies raised on these low quality incorrectly formulated diets often suffered from abnormal growth, severe skin allergies and early organ failure and had a low life expectancy. The stools of dogs were of large volume with large amounts of undigested material being present. Happily, science has brought about a new era in puppy food manufacture. International companies have spent billions of dollars to research and manufacture premium pet foods. Currently there are a multitude of different puppy foods. But consumers remain confused. How do I know which one is right for my dog? 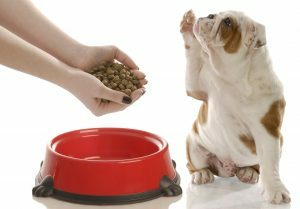 Pet food quality is essentially determined by the formulation, the raw materials used, the additives included and by the quality and reliability of manufacture. It is always critically important that well-trained professionals – your vet or specially-trained EberVet Vetshop staff – give advice on your pet’s nutrition. This will ensure that your pet’s current – and long-term – health is taken into account. 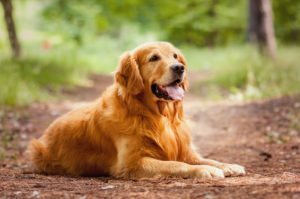 Firstly, you need to understand that the nutritional requirements of a small to medium puppy differs dramatically from those of a large breed puppy. Large breed puppy foods need to supply lower energy in the form of fat and carbohydrates as well as lower levels of calcium to reduce growth rate to acceptable levels. Conversely, they need more high-quality proteins to ensure the development of strong and healthy muscles with the minimum of excessive body fat. Puppy food needs to be extremely high in digestibility and should include what is known as pre-biotic fibres. These prevent gastrointestinal upsets and ensure a well-formed smaller stool. Lastly large breed puppy foods need to be supplemented with nutraceuticals that will ensure healthy joint development and stimulate the immune system to prevent the danger of ever prevalent juvenile viral diseases often seen in puppies. The quality and percentage of protein, starch and fat are the main determining factors in the quality of a puppy food. Of these three, protein is by far the most important in fast growing large breed puppies. Low quality proteins lead to poor muscle development, stunted growth and often play a role in early kidney failure. Puppies are carnivores that need animal protein rather than plant based proteins such as soya protein. When it comes to starch, maize is less digestible and can lead to obesity and early joint problems. Rice starch is better. Poultry fat is less allergenic and has superior fatty acides (eg Omega 3). High levels of Omega 3 ensure reduced allergies, optimal intelligence and a shiny healthy skin and coat. Salmon powder is an excellent source as is Krill powder. When next evaluating a puppy food look at the ingredients and determine if high quality and unique materials such as chicken, rice, salmon and krill are quoted as being included in the formulation. The quality and number of vitamins, minerals and trace elements is essential. Large breed puppy food should not contain too much calcium as this may predispose the puppy to excessive and irregular bone growth and joint disease. It is therefore not acceptable to feed a large breed puppy on a small to medium breed puppy formulation. Nutraceuticals ensure the puppy receives the best possible natural elements needed to maximise health whilst aiding in the prevention of certain diseases and health related conditions. As with humans, prevention is always better – and substantially cheaper – than cure. Feeding your puppy correctly from day one will ensure fewer vets’ bills throughout his life. This is a potentially huge cost-saving. And you’ll have a happier dog that lives longer too. He’s your best friend; show him how much you care.